Otile Brown and Vera Sidika are giving us all the feels with their ongoing “baecation” trip in Mauritius. They have kept fans hooked on their Instagram pages with all the relationship goals they are serving from their feed. Just yesterday, the couple was being criticized after they posted a photo of Otile lifting Vera. Fans poked fun at both of them calling out Otile for lifting “plastic”. Otile retaliated and posted a caption that people’s comments did not bother them and they even considered them funny. Going on with their holiday vibes the couple posted a video of them getting down to Jabidi’s song, Vimbada. 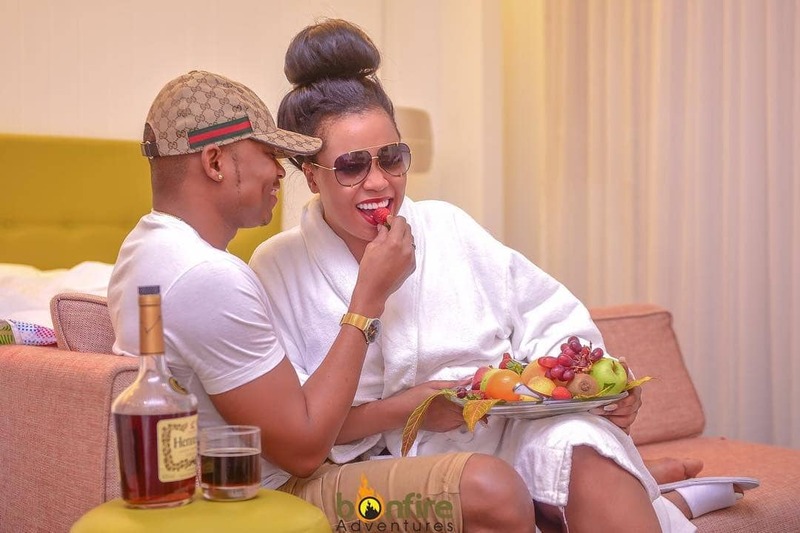 Clearly Otile and Vera are having a time of their lives could not be bothered by whatever’s happening outside their little bubble.